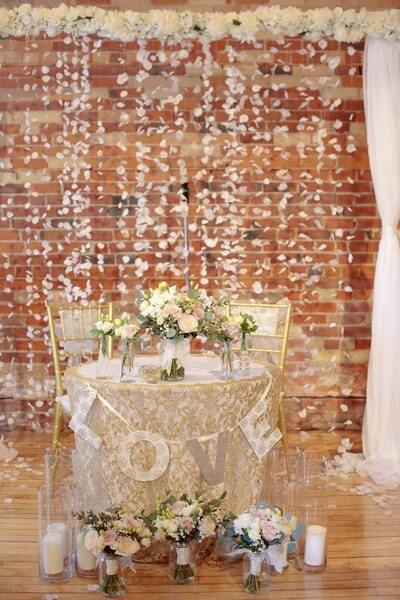 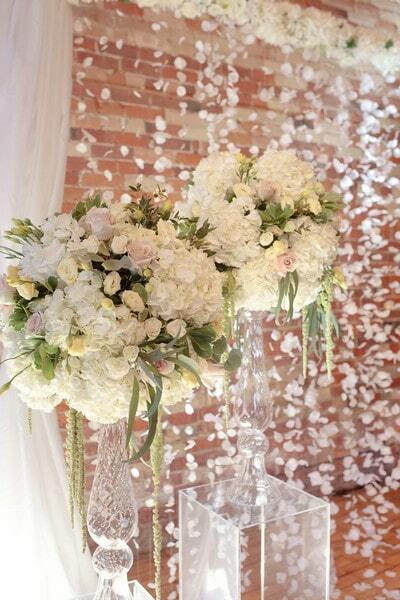 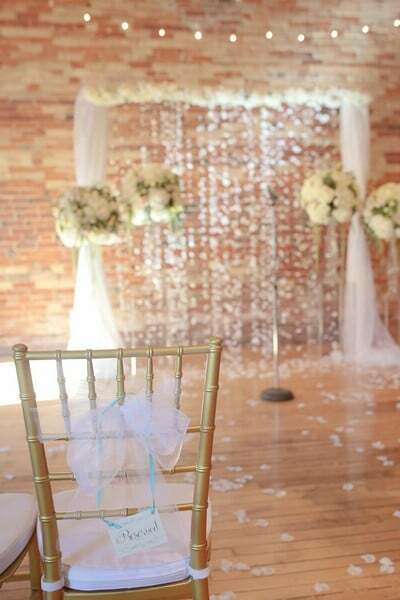 This gorgeous wedding detailed by Inspire Event Rental & Design is infused with tons of romance and urban charm. 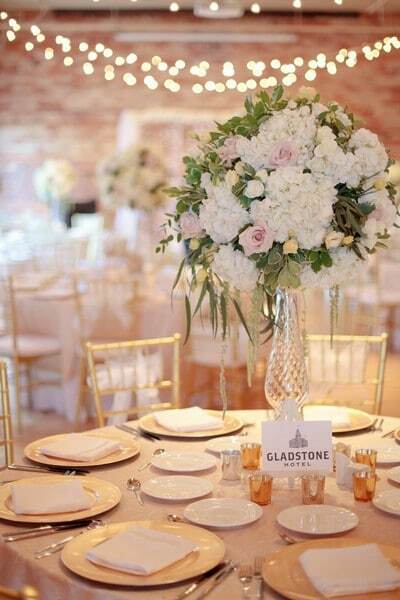 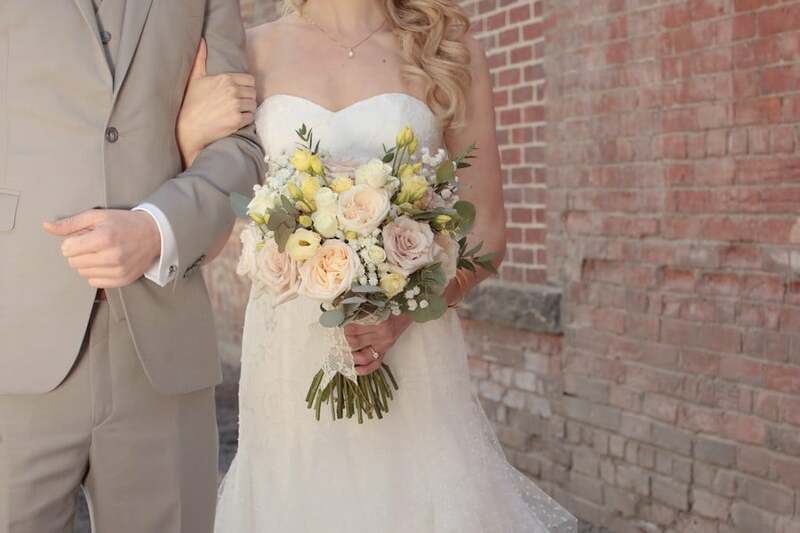 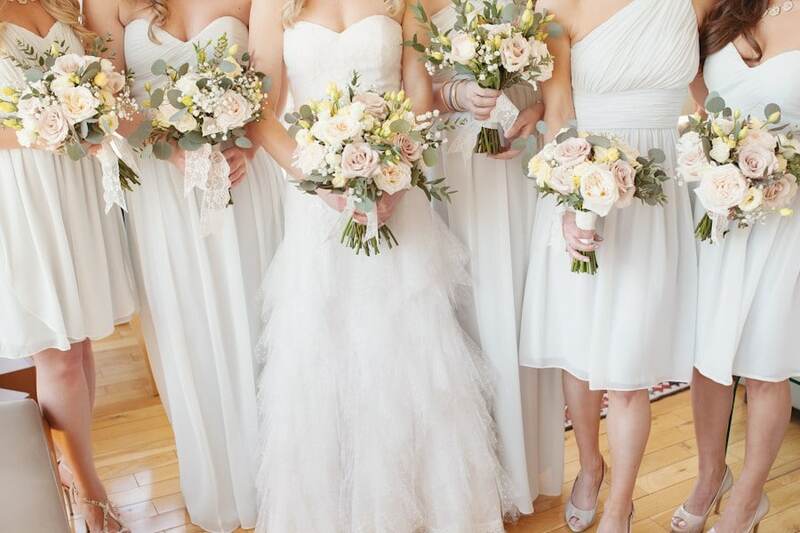 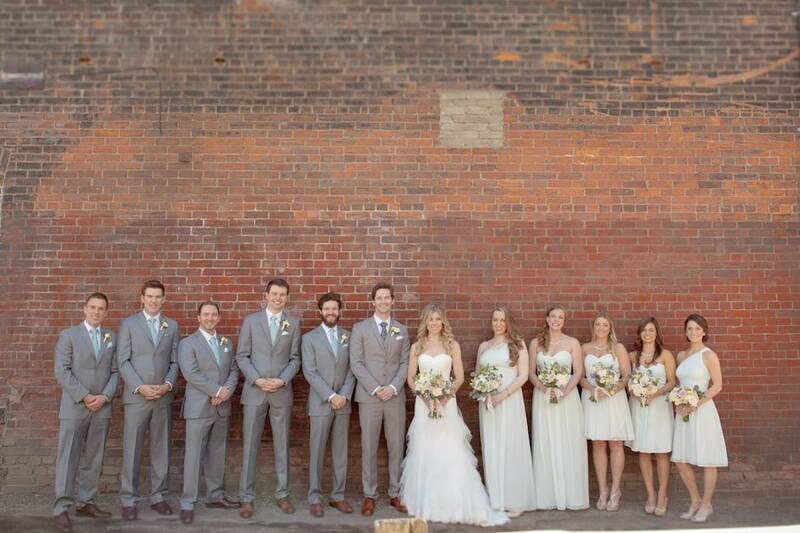 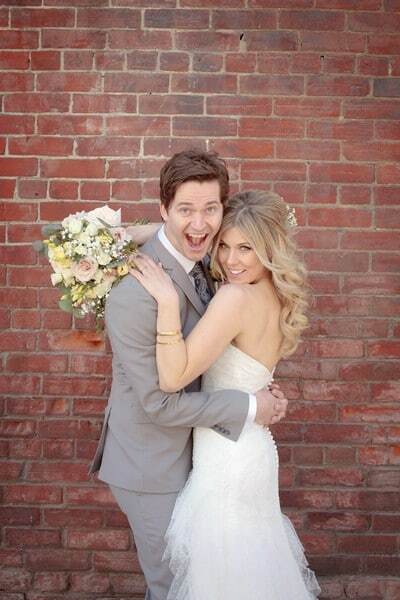 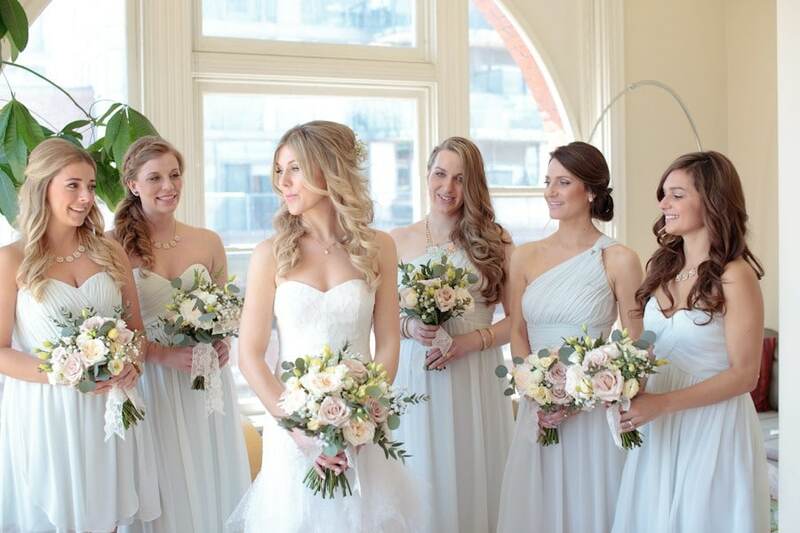 Set at the Gladstone Hotel, Kate and Daniel’s big day matched their venue’s city chic vibe while incorporating soft colours and lush florals with a decidedly rustic flair. 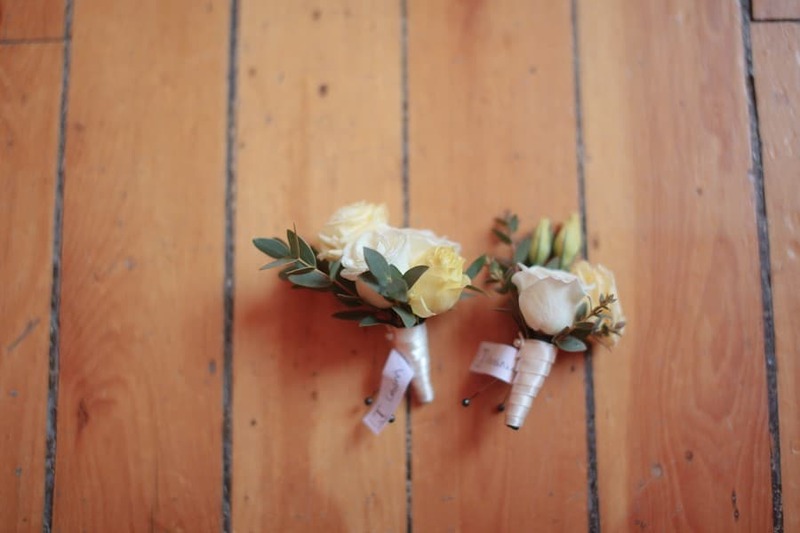 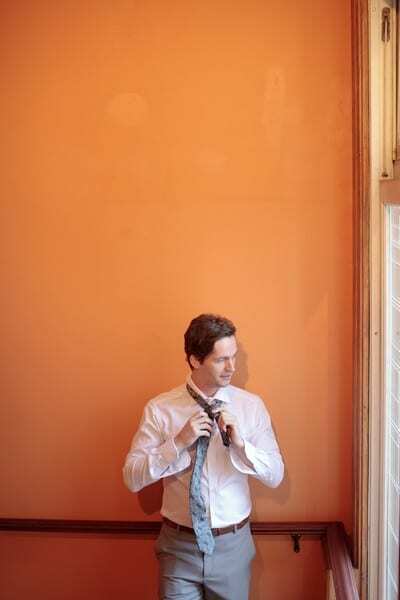 Luckily for us, it was all beautifully captured by Tied Photos & Film. 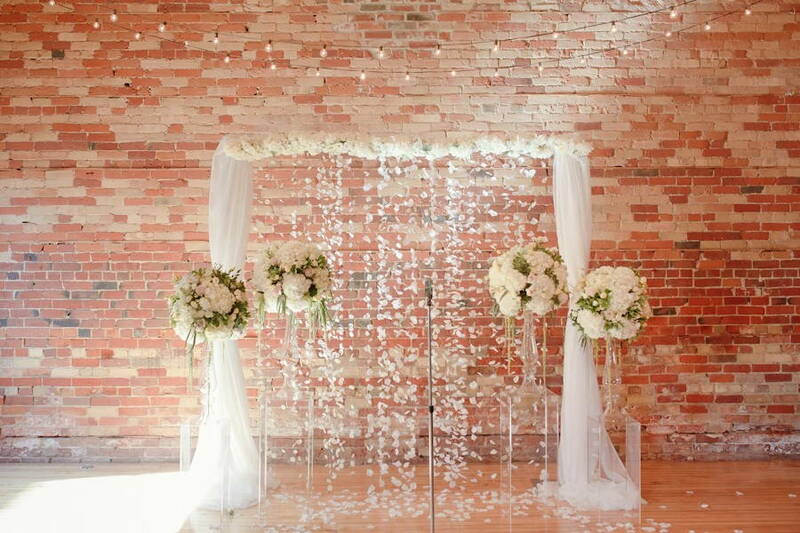 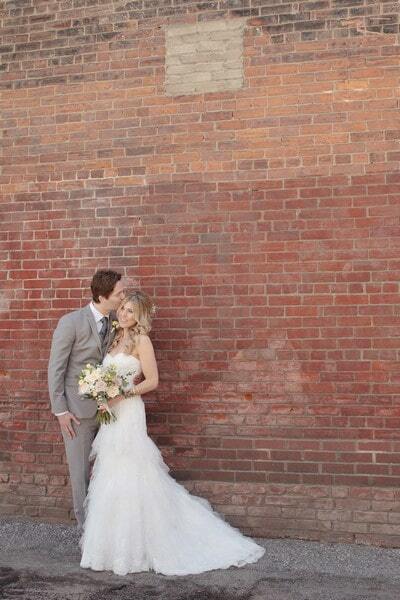 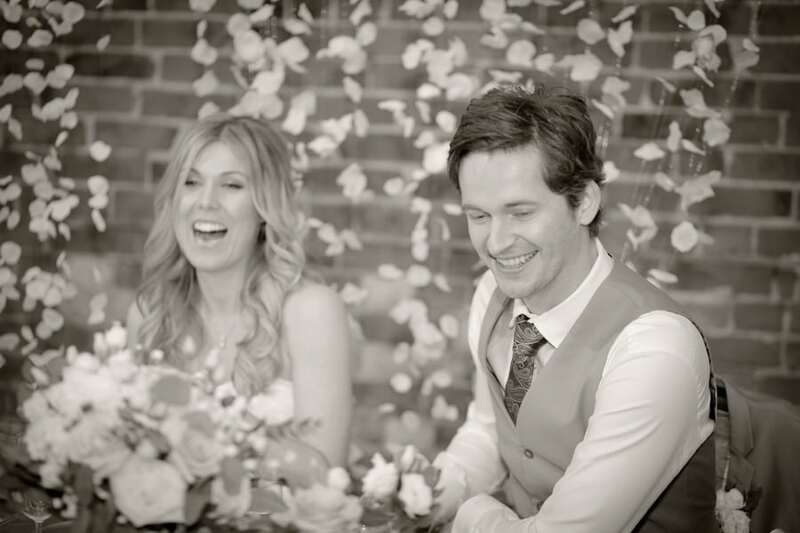 The couple exchanged their vows amidst an ethereal blooming backdrop and enchanting twinkle lights. 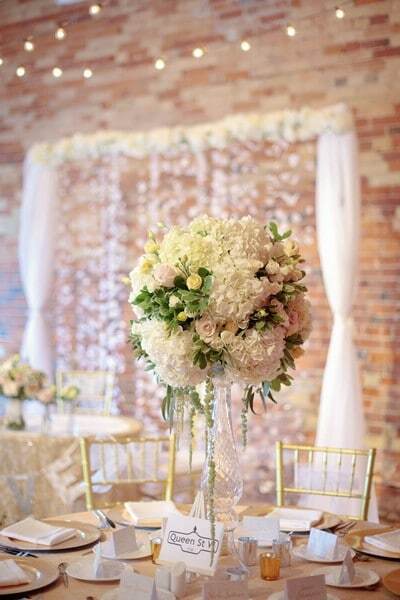 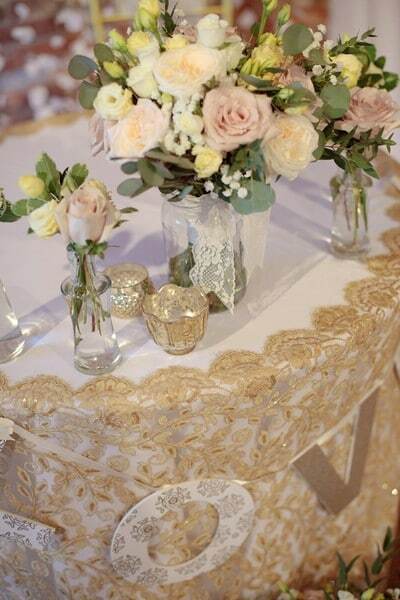 The newlyweds’ reception was the epitome of elegance meets enchanting. 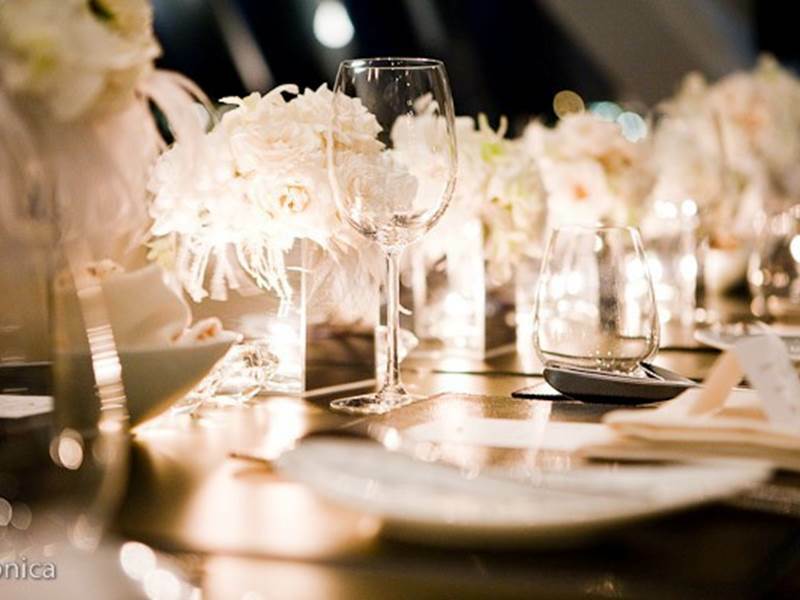 Decked out with soft pastel florals from Pink Twig Floral Boutique, exquisite candles and table place cards depicting popular Toronto streets, the affair was clearly a celebration of love. 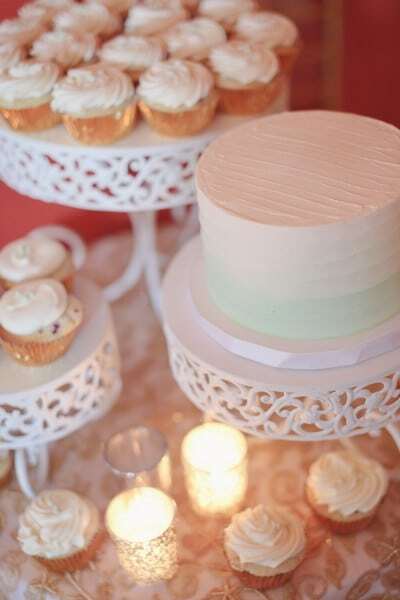 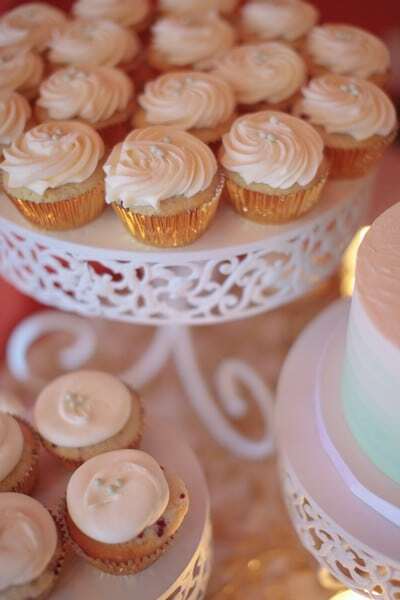 Delightful vanilla cakes and cupcakes were supplied by the The Wedding Cake Shoppe. 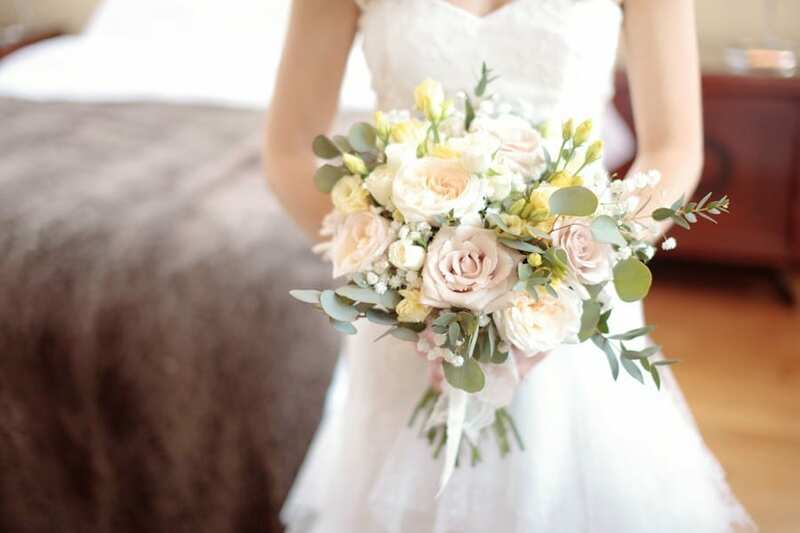 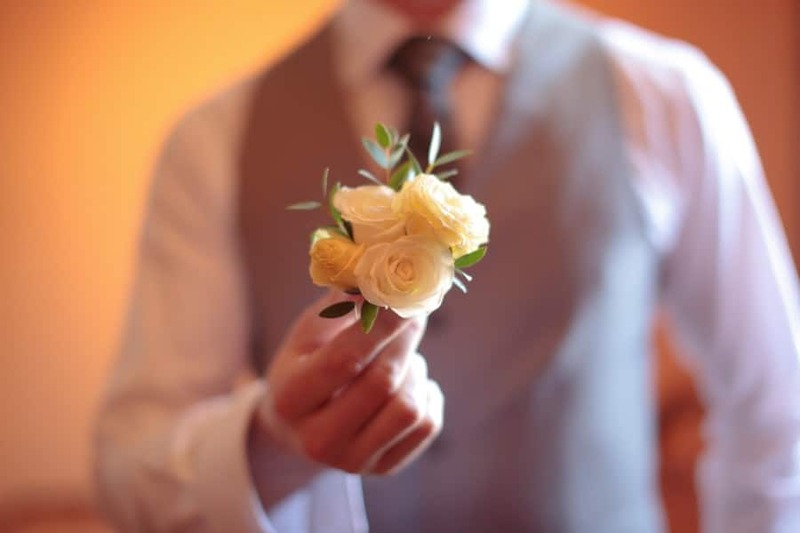 From the bride and groom’s morning preparation with their friends and family to the emotional trip down the aisle, catch a glimpse of the couple’s beautiful big day, here.